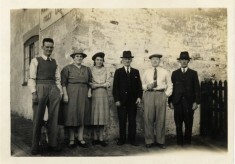 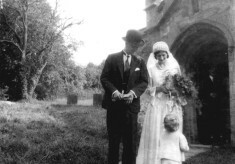 Wedding at Muston church in 1934. 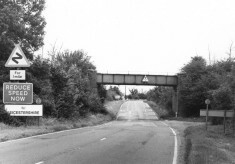 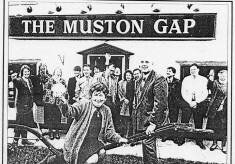 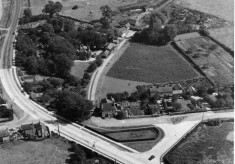 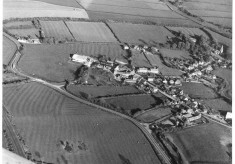 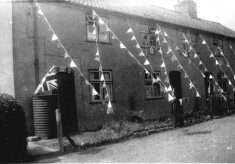 The location is on the green in Muston, outside Mr North’s house. 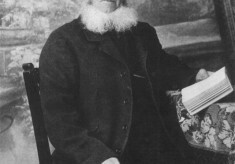 Born in 1829, Robert Tinkler was for many years sexton of St John the Baptist Church at Muston. 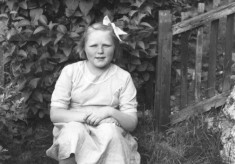 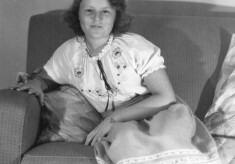 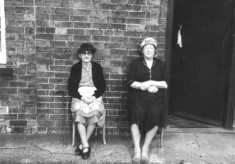 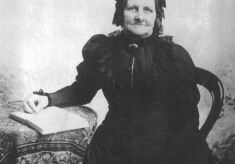 Taken most probably during the same session as that in which her husband Robert Tinkler’s picture was taken (see BOT/137/8). 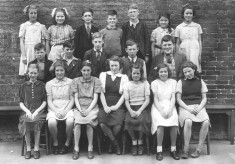 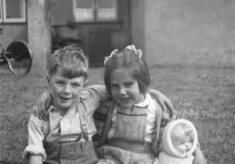 The girl in this picture has been identified as Toppy Webb. 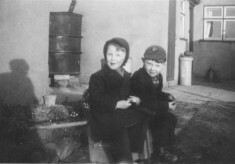 Derek Bradbury and Gillian Challands at Duke's Cottages. 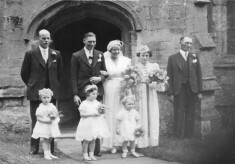 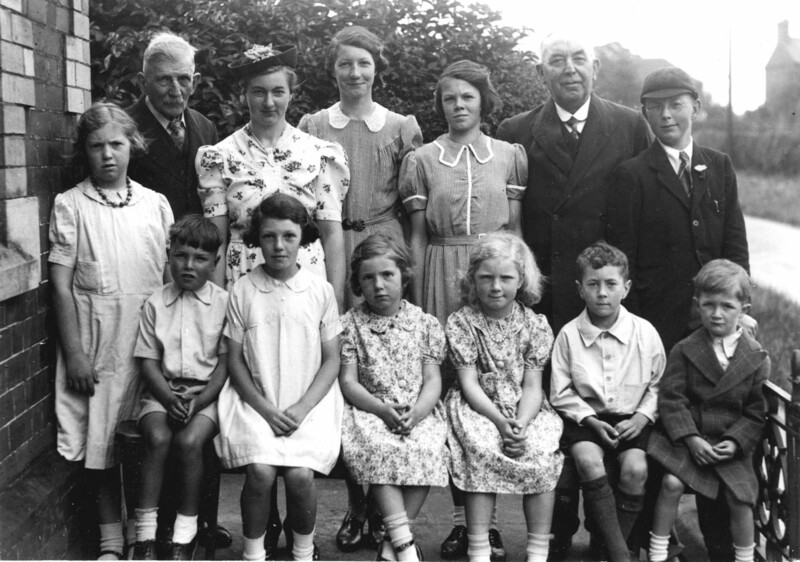 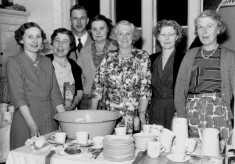 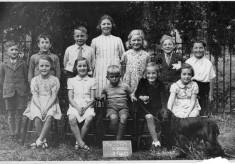 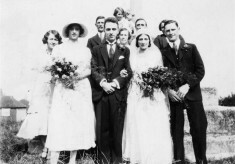 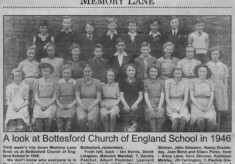 Item: Wedding at Muston church in 1934. 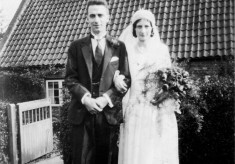 Item: Derek Bradbury and Gillian Challands at Duke's Cottages.